For the record, there is no way I could do the yoga pose in the photo above. Not that you were assuming I could. :) I love the Scripture for today's look at the Proverbs 31 woman, because it takes us back to what is most important about our appearance. It is not that we are a size 2 or that we have a thigh gap, but that we are clothed with strength. As a child, I never played sports. Ever. No soccer or basketball, tennis or horseback riding. When we lived in Indianapolis, I did ballet for a year, but we didn't keep up with it when we moved to Marietta. Sports were never really my thing; my parents did not play sports growing up, and I just never asked to be a part of them. You could find me with my nose in a book. My sister and I loved to ride our bikes and swing on our swing set in the backyard, but when it came to playing with the boys and actually throwing a ball or getting a game going, that was all Lauren. Not I. I was "GG"- Girly Girl, and she was "TB"- Tomboy. In high school I found that I loved home videos because they were convenient, but I also loved group fitness classes at the YMCA. Zumba is life-changing, ladies. Fast forward to college, and it seemed like everywhere I looked, people were running. And they liked it. Now, my experience with running was the mile run in middle school and high school. And I loathed it. But when I signed up to take a walking class for my physical education credit, I found that I enjoyed being outside and loved taking in the sights around me while listening to music. The practice calmed me, and I figured that I should make it a part of my life outside of my P.E. class. I began walking to class, forgoing the bus and trekking it around UGA's huge campus. In time, I began to experiment with running. One day I decided that I was going to place a goal before myself and train for a half marathon. Finishing that first race was one of the greatest feelings of my life. One week from tomorrow, I will run my fifth half marathon. Exercise is not meant to be tortuous, but rather a means of taking care of the bodies that God has entrusted us with for our time here on earth. My preferred means of exercise is running. I also enjoy walking, Zumba, and yoga. Zumba makes me come alive and makes me feel more beautiful and feminine as I "shake what my mama gave me." Yoga centers me and helps me to calm my often anxious heart. 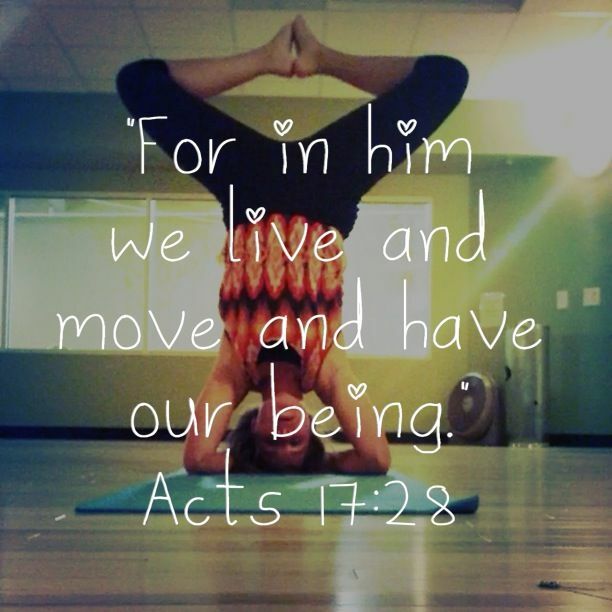 I find myself praying and asking the Lord to help me keep my eyes on Him as I work on balance and strengthening my core. The Proverbs 31 woman is not a woman who intimidates others by being an overachiever who bests everyone and makes others look weak. Instead she is a woman who cares about her body. She understands the importance of fitness, and she seeks to take care of herself by staying active not only for herself, but also for her family and for the well-being of those around her. How can you get moving today? What is your favorite way to take care of yourself?